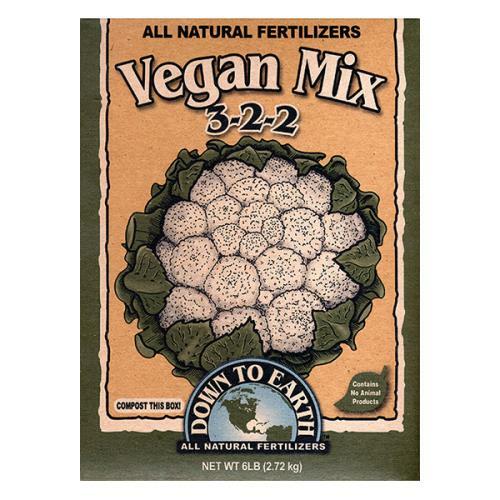 The indispensable all purpose fertilizer blended specially for vegan gardeners. Free of any animal products or by-products, Vegan Mix is formulated with plant derived essential nutrients and natural mineral elements plus humic acids. Its slow release formula is designed to continually nourish your vegetables, flowers and herbs while stimulating and building soil health. For more information, please visit the manufacturer Down to Earth's website.